Google rolls out its official algorithms updates every month or even more frequently. And some of these algorithms play a significant role in SERPs. This article covers the features of top 8 most prominent Google’s algorithms. 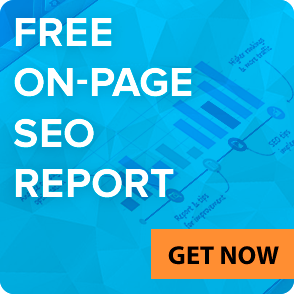 You’ll find out how to adjust your content, on-page and off-page optimization to the new and current algorithms in order to preserve and improve your traffic and rankings. Google Panda algorithm is used to reveal web pages with non-unique, spammy, and thin content with too many keywords. Moreover, Panda also punishes websites for duplications or lacking content. As a result, website rankings decrease in SERPs. Originally, Panda wasn’t a part of the core ranking algorithm, instead, it was the Google’s filter which handled only particular websites. Since January 2016 Panda algorithm was officially included in the Google’s core algorithm. It means that now there are no announcements on its update because it works in real-time. How to secure your website from Panda? Avoid duplicated content. This is one of the common causes of ranking drop. Sometimes the same content may be available under different URLs and this leads to duplications. A website owner may not even know that such pages exist in his backlink profile. You can find such pages and fix it with canonical tags, noindex tags or 301 redirects. Check the ratio of content on your page to the outbound links. Ensure that you don’t have pages with an excessive amount of outbound links. And if you found such pages, provide the unique content for them to get rid of Panda’s attention. Backlinks are important for your website high ranking. There were times when you could obtain high rankings with poor quality backlinks. Google’s Penguin algorithm, launched on 24 April 2012, totally changed the game and became the nightmare of every webmaster. The algorithm was created to punish websites with unnatural backlink profile. And since fall 2016 Penguin works in real-time as a part of the Google’s core algorithm. How to secure your website from Penguin? Monitor your backlinks profile. You can use such tools as ahrefs, SEMrush, ScanBacklinks to have a total control over your links profile. Take care of any sharp changes you observe in your backlinks graph. 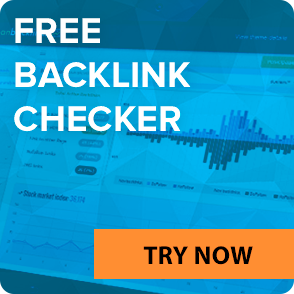 Get rid of harmful backlinks. When you reveal some spammy links in your backlink profile, you need to fix them. 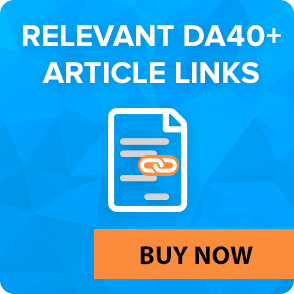 Google’s Disavow Tool will help you get rid of such links by telling Google to ignore spammy backlinks during evaluating your backlink profile. This algorithm changed the way of search query interpretation by a search engine. The main purpose of Hummingbird is to understand the user’s intention instead of a common keyword search. Thanks to this algorithm, Google improved the comprehension of synonyms and topics. Keywords overstuffing in your content without any additional thematic words, synonyms or adequate covering of a topic. How to secure your website from Hummingbird? Diversify your content. Use related terms to cover the topic you are writing about. Pigeon algorithm affects search results which concern the user’s location. Yet algorithm is valid only for the English market. After Pigeon had appeared, user’s location and his distance to the object offered in search results considered as ranking factors. The algorithm provided local businesses with a possibility to get higher rankings and traffic than large well-known websites. How to secure your website from Pigeon? So, if you’d rather get higher rankings and traffic in the appropriate region, take care of registration in Google My Business and your company citation in local directories. The Mobilegeddon, usually known as the Google Mobile-Friendly Update, gives priority to websites that are optimized for smartphones and other mobile devices. This change doesn’t deal with desktop search results. What is important is that the Mobilegeddon algorithm evaluates mobile friendliness of a single page. This means that some pages of your websites may be deemed mobile-friendly and get higher rankings, while the other page may be down-ranked. How to secure your website from Mobilegeddon? Move to the mobile version. This is an obvious but the most effective way to stay on the safe side. You can choose the mobile configuration you prefer. Still, the general Google’s recommendation is a responsive design. Pass the mobile-friendly test. Being mobile doesn’t mean you are doing everything correctly. The mobile-friendly test will spot the weak sides of your website’ mobile version and indicate the Google’s criteria you are to meet. RankBrain isn’t a common Google’s algorithms. This is an entire system of machine learning which helps Google decode and understand the meaning of search queries and deliver the most relevant results according to them. RankBrain somehow understands the meaning of web page content, evaluates it and teaches itself to improve its work. How to secure your website from RankBrain? Increase the relevancy of content on your website. If you want to get higher rankings for the appropriate search query, you need to take care of quality content, on-page, and off-page optimization. To learn more about factors that influence your website rankings and traffic read our article on how to get on the Google’s top. Analyze your website. Consider the users’ behavioral factors with Google Analytics. Pay special attention to bounce rate and session duration. Reveal the reasons of received data and try to improve the user experience. Keep an eye not only on faulty pages but on successful ones as well. Why people like this page? Found it out and use the same strategy when creating new pages or optimizing your current ones. The Possum is a generalized name for numerous changes in Google’s local search filter. The algorithm considers the physical location of a user and delivers the best-matching results on the basis of location. The closer you are to the company address, the higher chances you’ll get this company in SERP. The companies whose business addresses are outside of the city experienced rankings boost thanks to the Possum algorithm. Before its launch, these companies weren’t shown in the search results for a given location. The same address with another company. How to secure your website from Possum? Make tracking results geo-specific. After this algorithm launch, the location of your rankings plays a big role in getting higher rankings. Enlarge your local keywords. It is important to track your website positions for a separate search query. This is a new Google core algorithm update which was named Fred after the joke of Gary Illyes. He also suggested calling the next Google’s updates in such a manner. Google’s representatives confirmed that the update had happened, but they didn’t explain its features. The only thing they told is that the algorithm would penalize sites for Google policies violation. Thus after numerous studies, it was determined that the Fred algorithm punishes sites with poor content, a lot of ads and outbound links. How to secure your website from Fred? Don’t overdo monetization of your website with advertising blocks. Instead of dull SEO-texts for robots, start writing interesting content for your readers. Always follow Google’s policies and guidelines. Check out the latest updates in Google guidelines and policies. From now on, you get a broad picture of Google’s most important algorithms work. We hope that this article will serve you well when optimizing your website or blog. If you revealed the sudden drop of your traffic and cannot identify which algorithm induced it, read the article about reasons of traffic drop.